Thursday May the 3rd saw the first match in the MVT&FL at Stourport and unusually fine weather for a venue renowned for it’s cold and windy conditions. The league began in earnest with Pete Mould speeding to victory in the 100m. Paul Husbands claimed 1st place in the M50 100m and M50 HJ and Russell Hingley won his 100m and even stretched to a 400m debut win. Chris Gibbs ran well to claim third in his first league meet in the 100m. Len Quartly showed that being 75 will not be a barrier racing in the 100, 1500 and the 2km race walk. Calvin Scoltock was 4th in his 400m sprint before winning the M35 1500m. Martin Aspley-Davis competed in the race walk and achieved equal second place in the HJ. Matt Henney ran a tough race getting 5th in the M40 1500m and Mike Neylon ran hard in the 400m, gaining 2nd place. The hammer was thrown 26.32m by Vito Ricci to claim 3rd and Jason Cashmore also jumped into 3rd place in the TJ. On debut we welcomed Sam Cater who achieved two 1st places and two club records in the M35 javelin and hammer throws. B&R ladies fielded a small team of seven and even with a number of events unfilled, still managed a very creditable third position in the League at the end of this first match. Everyone in the team stepped up to do more than one event, some doing unfamiliar events or events for the first time. In the field events Polly Gerner gained first place in the W60 long jump with a jump of 3.63m and Julie Wakelam placed first in W50 Javelin with a season’s best of 20.4m. Rita Brownlie also placed first in the W70 Shot Putt, a new event for this season. B&R ladies dominated the 100m races with Polly Gerner placing first in the W60 100m, Sharon Samuel gaining first place in the W50 100m and Debbie Ricci second place in W40 100m with a season’s best of 14.7. Lucy Bristow made an impressive debut in the 1500m, achieving third place in a time of 5:43.1. The evening concluded with new mixed 200m relay events for both O35 and O50 category. These provided a nail-biting finale with B&R achieving second place in both, being only narrowly beaten by Worcester in the O35 event. 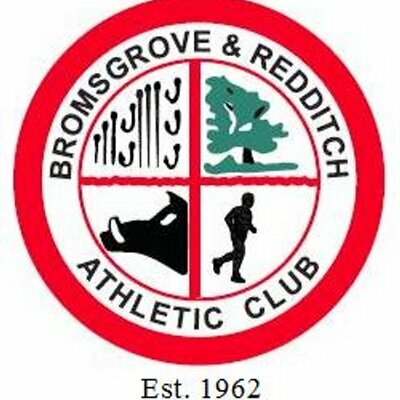 A great evening of competition was enjoyed by all with Bromsgrove and Redditch coming in 2nd by just 8 points. With the next match being at home on May 30th B&R are well placed to build on this solid start the season.